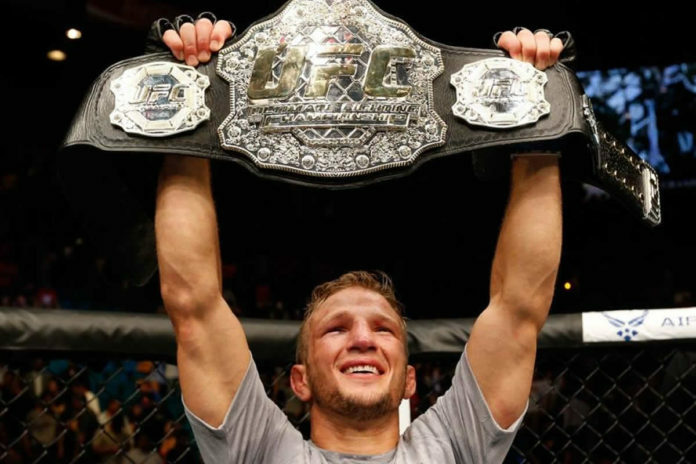 T.J. Dillashaw (16–4) shakes the world of mixed martial arts with a post on Instagram advising that he would “be voluntarily relinquishing” his UFC Bantamweight title. The decision was made following “adverse finding” in drug test before his fight against Henry Cejudo at UFC Fight Night in Brooklyn early this year. According to reports, the New York State Athletic Commission and U.S. Anti-Doping Agency (USADA) have confirmed that Dillashaw failed a drug test. Going up against Cejudo, Dillashaw made his flyweight debut aspiring to become a two-division champion. Although the bout ended in favor of the current titleholder, “The Viper” was in his second reign as the bantamweight king, featuring a pair of victories against Cody Garbrandt and John Lineker.